TEN Management is thrilled to announce the release of the latest single from Zamorra titled Better de come. 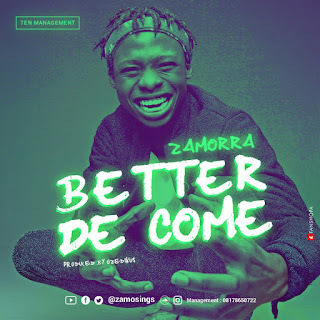 The song is available on all digital stores. .
Zamorra, whose real name is Oluwashina Akinkunmi, is a graduate of Philosophy from Obafemi Awolowo University (OAU) Ife.. Zamorra is blessed with a unique voice and prefers to deliver his songs with a good mix of English, Yoruba and Pidgin. 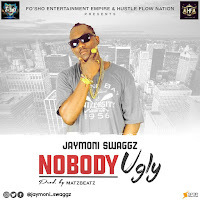 His ultimate ambition is to make music that can travel the world and break cultural boundaries while telling the story of a Proud African Boy.